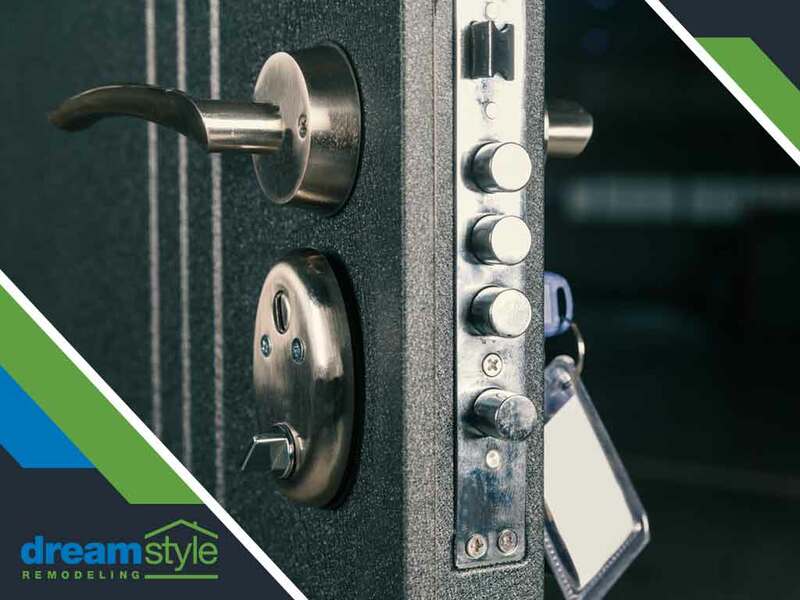 You Need a Steel Entry Door, and Here’s Why - Dreamstyle Remodeling, Inc.
One thing that steel doors have going for them is the fact that they are very cost-effective. Steel doors are cheaper than wood doors by far, which is already a good reason to buy them. But if you consider that it’s a lot easier to maintain these doors than wood–which we’ll cover below–and that they are generally more energy-efficient than wood doors, the cost efficiency of your steel door goes up by a large margin. Just like anything metal, steel doors are prone to rust when exposed to high amounts of moisture–a problem in humid areas. That’s why they regularly need to be repainted with a coating that can help them resist rust. But the amount of maintenance required by steel doors is less than what you’d expect from wooden variants, which makes steel a great option if you want to have a worry-free front door. They are, however, difficult to repair if they get damaged. If your entry door gets scratched or dented, you will have to call a specialist to help with the repairs. And it will need to get repaired, because dents and scratches are notorious moisture traps, which can lead to the formation of rust. There is a reason storm doors are made of steel: this material is very durable. The same goes for steel entry doors. It’s not very easy to dent or damage a steel door with normal amounts of force, which means getting yourself a steel door doesn’t just give you a cost-efficient unit that’s low-maintenance, but it also gives you a strong door that can easily protect you from the elements. Note that you should talk to your contractor about the security of your door locks, because a steel door is only as secure as its locks. Talk to your specialists about getting a strong security bolt that extends deep into the door frame to fortify the security of your steel door. It’s pretty hard to match the versatility of wood as far as design is concerned, but ProVia’s units are made with Legacy Steel™. They do a fantastic job of mimicking wood finishes. This is made possible thanks to their high-definition embossing technique that adds contours and lines to lend plenty of character to all of the Legacy Steel doors. At Dreamstyle Remodeling, we know that steel doors might seem unusual to most customers, but we believe that our ProVia units are among the best products on the market today. Give us a call at (877) 721-1590 to learn more or fill out our contact form. We serve residents of Tucson and the surrounding areas.